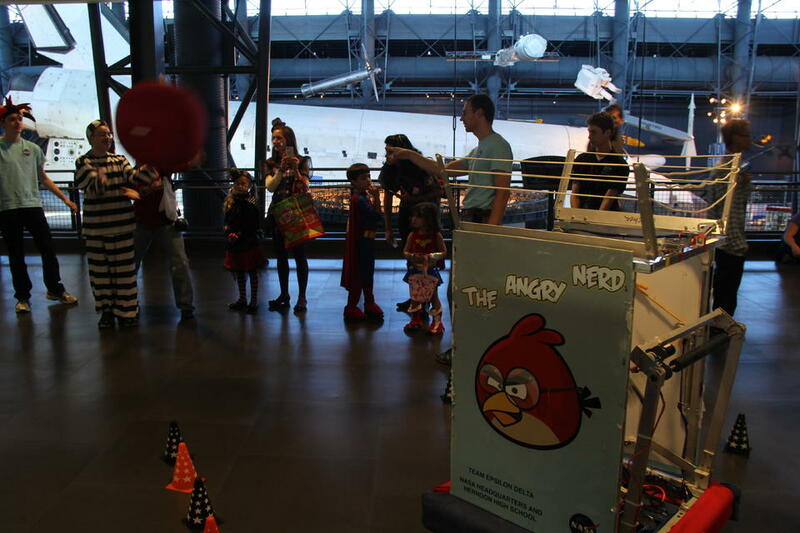 Today at the Udvar-Hazy Air and Space museum is the annual Air and Scare event! We’re here with our FTC team, and FRC teams ILITE and Chantilly robotics showing off our robots and here for some Halloween and science fun. Come in costume with your family for candy, and a good time. See you there! 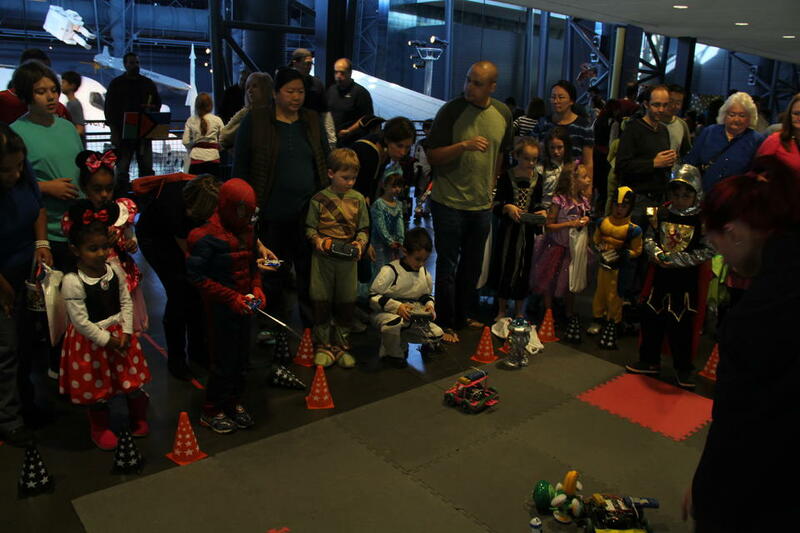 Air and Scare was a huge success! 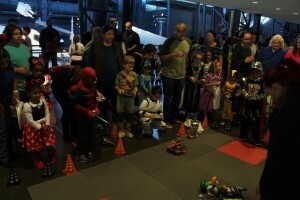 We all had a great time in our Halloween costumes and were a huge hit with the kids who loved the squarebots, the Angry Nerd, and the hexbugs we had set up. 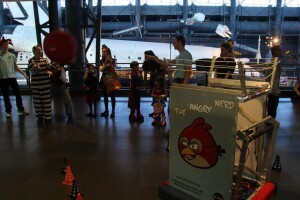 Some of the Air and Scare visitors playing catch with the Angry Nerd. We also set up our squarebots mats for the visitors to try out. 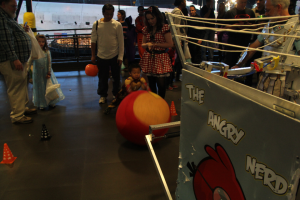 It was very hectic with the over 31,000 at the event, many of which stopped by to try out our robots, so many that the Angry Nerd’s catapult actually broke and we had to improvise a new way to keep it active. 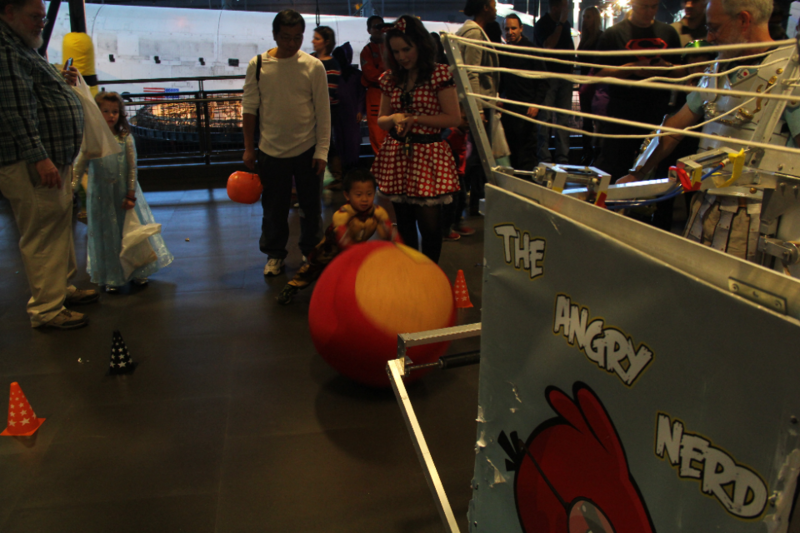 We let kids role the ball into our intake system and then have the robot pass it back to them as a backup, and found that people enjoyed doing that as well. Overall we had a great time and can’t wait to do it all again next week when we visit the other Air and Space museum in DC for the Innovation Festival (more info here ).. but first we have a robot to fix! Stay tuned for more updates about next week.